Bethany Church is an angel sent to Earth to keep dark forces at bay. Falling in love was never part of her mission, but the bond between Beth and her mortal boyfriend, Xavier Woods, is undeniably strong. But even Xavier's love, and the care of her archangel siblings, Gabriel and Ivy, can't keep Beth from being tricked into a motorcycle ride that ends up in Hell. There, the demon Jake Thorn bargains for Beth's release back to Earth. But what he asks of her will destroy her, and quite possibly, her loved ones, as well. 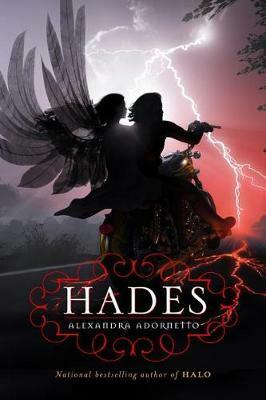 Alexandra Adornetto is the author of Halo, which debuted in Fall 2010 on the New York Times bestseller list a week after it was published, and has been published in over twenty countries. Originally from Melbourne, Australia, Ally is now a college student in the U.S.